In addition to a large number of standard products, Z-LASER also offers customers the option of developing very specific solutions. If no existing lasers can be used or major adjustments are needed, a feasibility study is recommended. It provides meaningful information on the feasibility of the project, the risks, the costs of development and series production. Based on this information, it is then possible to decide on a further course of action. Upon completion of the study, proposals and sketches of the arrived-at solution are obtained. Z-LASER offers feasibility analyses as service packages, which include 40 engineering hours. These are used to check the project for optical, electronic, and mechanical feasibility, as well as for the preparation of detailed documentation. 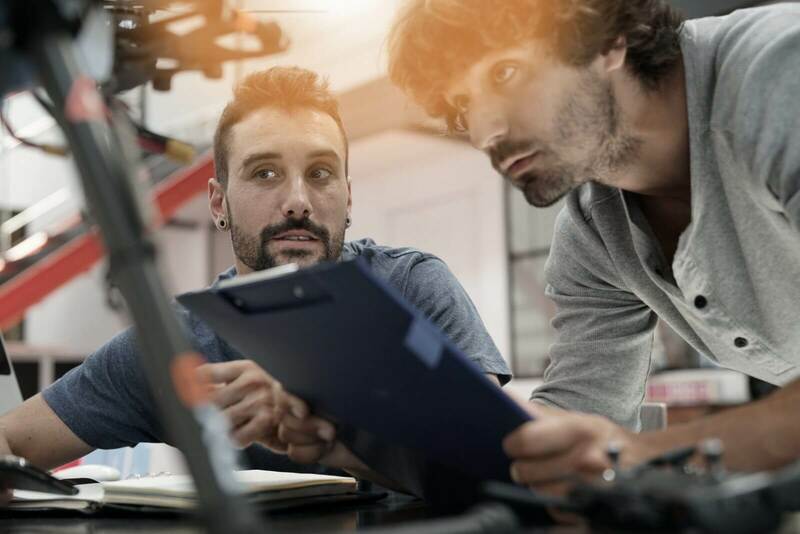 The customer provides a detailed description of the project and the laser requirements, and after completion of the study receives proposals and sketches geared at a solution. After completing the feasibility study and accompanying documentation, the project is ready for completion. If the results are sufficiently promising and there is interest in custom product development, a development project can be commissioned. 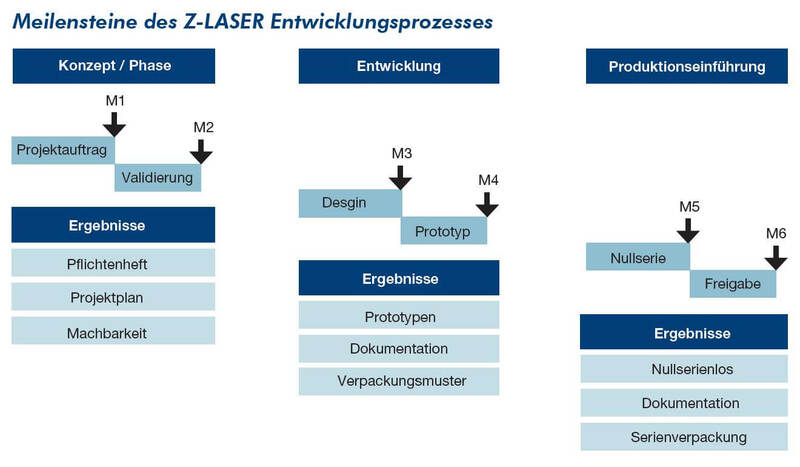 The product development process at Z-LASER is divided into phases, each completed with a milestone (M1-M6). These phases can be commissioned consecutively and independently. Any need for discontinuation is determined after each phase, depending on the results of the individually commissioned project phases. The prepaid costs of the feasibility analysis are credited 100% toward further phases of the development process. Depending on the outcome of the feasibility study, and whether a project is technically feasible or not, the following services are provided by Z-LASER.